Paul is a partner in the Newport Beach office of One LLP. As a patent attorney with over 25 years of experience, Paul’s practice includes patent and trademark procurement and litigation; intellectual property licensing and negotiations; freedom to operate opinions; patentability, infringement, and validity studies; design around strategies; IP portfolio management and valuation; and advising China and Taiwan-based companies on importation of products into the U.S. His technical expertise includes intravascular medical devices including stents, embolic filters, and guide wires; nickel-titanium/nitinol alloys and their medical device applications; desktop staplers and office products; staple guns and handheld tools; orthopedic appliances and supports; e-commerce related technologies; and all varieties of mechanical and electrical inventions. Prior to law school, Paul worked for three years at the General Electric Company serving two years in their Manufacturing Management Training Program (MMP) and one year as a process control engineer. 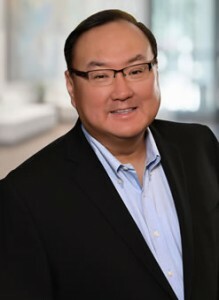 As an MMP, he held management and staff position in manufacturing and industrial engineering in GE’s Lighting Business Group in Cleveland, OH, the Major Appliance Business Group in Milwaukee, WI, and the Aircraft Engine Business Group in Cincinnati, OH. Paul received his B.S. degree in mechanical engineering from the University of Wisconsin–Madison, graduating in 1983 with honors and distinction, and was elected to Tau Beta Pi Engineering Honor Society. He earned his J.D. degree from the University of Minnesota Law School, graduating in 1989. Paul is a member of the Asian Business League and speaks conversational Mandarin. He has received an AV peer review rating from Martindale-Hubbell. Paul was nominated Southern California’s “Super Lawyers” in Intellectual Property Law, in 2007; and Southern California’s “Super Lawyers,” Corporate Counsel Edition, in 2008.
Cooper Lighting, LLC v. Cordelia Lighting, Inc., Jimway Inc., C.A. No. 1:16-cv-2669-MHC (N.D. Ga.). One LLP represented a mid-sized Southern California based company accused of patent infringement by a multi-billion-dollar international company. The asserted patents claimed LED modules to retrofit conventional incandescent and fluorescent downlights. One LLP successfully moved to dismiss the plaintiff’s willful infringement allegation, greatly limiting plaintiff’s damages claim, and won a crucial venue motion based on a United States Supreme Court decision (TC Heartland) that issued after the complaint and answer were filed in this case. One LLP prepared, filed, and successfully obtained institution of multiple Inter Partes Review (IPR) petitions challenging plaintiff’s patent validity in the Patent Trial & Appeal Board (PTAB), and convinced the district court to stay the action pending the PTAB’s final decision. In light of One LLP’s litigation and PTAB successes, the client achieved a favorable settlement just prior to the PTAB’s first decision on patent validity and before the litigation stay was lifted. CWGC LA Inc. v. DEB IP Limited, Case No. IPR2017-00776, Inter Partes Review (IPR) in the Patent Trial & Appeal Board (PTAB) over U.S. Patent No. 6,082,586. Prepared and filed an IPR petition on behalf of client CWGC LA Inc. challenging the validity of the `586 patent in response to the client being sued for patent infringement over the `586 patent. After review of the filed IPR petition, plaintiff immediately settled with the client, ending the lawsuit. Cordelia Lighting, Inc. v. Zhejiang Yankon Group Co., Ltd., Yankon Industries Inc., Lowe’s Companies, Inc., Lowe’s Home Centers LLC, and Wei Chen, No. 5:14-CV-00881-JGB-SP (C.D. Cal. ), represented plaintiff Cordelia Lighting, Inc. in bringing and winning a preliminary injunction motion for infringement of the client’s patent, which forced defendants to permanently remove the accused products from 1700+ U.S. retail stores. Defeated defendants’ motion for reconsideration and concluded the lawsuit with favorable settlement for the client. Zhejiang Yankon Group Co., Ltd. v. Cordelia Lighting, Inc., Case IPR2015-01420, Inter Partes Review (IPR) in the Patent Trial & Appeal Board (PTAB) over U.S. Patent No. 8,454,204, represented patent owner Cordelia Lighting, Inc. in defeating petition for IPR filed by defendant over the patent asserted in the above U.S. District Court litigation matter. The PTAB denied institution of the IPR in an order dated November 25, 2015. Accentra, Inc., WorkTools Inc. v. Staples The Office Superstore LLC, No. 2:07-cv-05862 (C.D. Cal. ), U.S. Court of Appeals for the Federal Circuit, No. 2012-1237, -1264 (Fed. Cir. ), prosecuted plaintiff WorkTools’ patents-in-suit that were found to be infringed by the trial court and upheld on appeal by the Federal Circuit. ACCO Brands USA, LLC v. Accentra, Inc., No. 07-1401 (N.D. Ill.), represented Accentra in defeating a Declaratory Judgment action by ACCO. Cooper Lighting Inc. v. Cordelia Lighting, Inc., No. P-C07-72C (N.D. Ga.), represented defendant Cordelia Lighting in favorable settlement on alleged patent infringement. In the Matter of Certain Lighting Products, Investigation No. 337-TA-594 (USITC), represented respondent Cordelia Lighting in International Trade Commission proceeding for accused patent infringement to successful settlement and successful dismissal of the ITC action. Cordelia Lighting Inc. v. American Fluorescent Corp., No. 02-7343 (C.D. Cal. ), represented defendant Cordelia Lighting in requested reexamination of patent-in-suit and terminating the lawsuit. Cordis Corporation and Expandable Grafts Partnership v. Advanced Cardiovascular Systems, Inc.; Arterial Vascular Engineering, Inc.; Boston Scientific Corporation; and Scimed Life Systems, Inc., Civil Action No. 97-550-SLR (D. Del. ), represented defendant Advanced Cardiovascular Systems, Inc. in defeating preliminary injunction motion brought by plaintiff Cordis Corp.